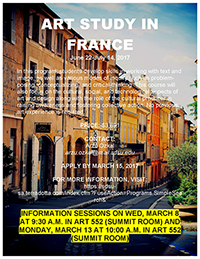 Join fellow students and SDSU Art + Design Faculty member, Arzu Ozkal to study art in France from June 22- July 14, 2017. This spectacular study abroad opportunity to help students develop skills in working with text and images as well as various modes of inquiry such as problem posing, conceptualizing and critical thinking. This course will also focus on the cultural, social and technological aspects of art and design along with the role of the cultural producer in raising awareness and fostering collective action. No previous art experience is required. 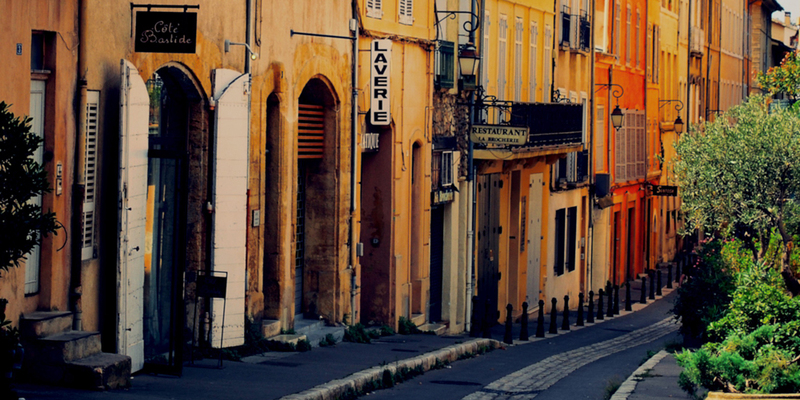 Students will be living in Aix-en-Provence, France, a University town in southern France. SDSU students will be eating, living and with locals. Informational sessions on March 8 at 9:30am and March 13 at 10:00am in the Art & Design Building, Summit room (ART 552).